My lecture/demonstrations offer music teachers a chance to see some of the ideas of the Suzuki method in action, and to hear how children (as well as family and teacher) benefit from this approach. VERY YOUNG PUPILS - such an eagerness to learn! 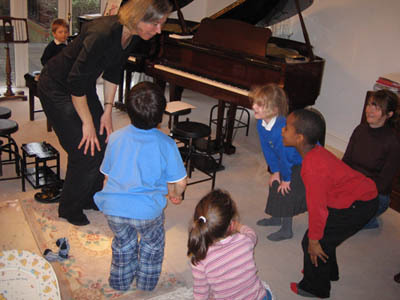 Click here for further Piano Teaching Ideas given at demonstration.